Quick! How many internet-capable devices are there within 6 feet of you? I’d guess there’s more than one. As technology advances, it becomes embedded in our culture in different ways. For example, 5 years ago, you wouldn’t ever think to go shopping on your watch. As such, it’s becoming increasingly important to invest in an omni-channel customer experience. Especially in ecommerce marketing, where a customer may search, peruse, and research in 4 different places and finally make the decision to buy in a totally different place, it’s important to have a holistic approach to your marketing. However, it’s important to distinguish between a multi-channel customer experience and an omni-channel customer experience. If you’ve got solid social strategy, a high converting website, and a great mobile experience, you’ve got a multi-channel experience. But if they aren’t working together, in coordination, it’s not an omni-channel customer experience. 20% of consumers have used their phone to find or redeem coupons and/or lookup product information while in a physical store. 52% of retailers are monitoring social media. 42% are adding SKUs 36% are enhancing eCommerce sites, or are currently implementing these initiatives. Retailers are farther behind on improving inventory visibility. To these end, about one-third have identified equipping in-store employees with mobile apps to access inventory + other initiatives to provide cross-channel inventory visibility, among their top 3 omni-channel priorities. An omni-channel is especially important for customer service, which is constantly evolving as technology develops. New technologies like Twitter, Live Chat, and video live chat have made real time marketing a necessity for those providing customer support. It’s important to cater to potential customers, wherever they are, lest you lose them to a competitor. So as long as you’re convinced of the need, how can you put it into practice? Where do you start? Before you invest in a bunch of different technological solutions providing real time marketing, marketing automation, personalization, social listening, etc, etc, think about your business goals. If it doesn’t fit the objectives, it’s simply a shiny toy creating noise. It’s easy to talk about the theory and the need for omni-channel customer experience (and you do need to start thinking about it), but offering examples of companies crushing it is the best way to inspire your own strategy. Here are a few of my favorites. They also came out with an app recently. I enjoy navigating around on the app when I’m waiting in lines or something, and it’s much easier to navigate than a mobile site, even if responsive. They also send exclusive deals via push notifications. Oh, and something that’s often forgotten in our short-term micro-conversion focused world: physical packaging. Chubbies is the master of it. You’ll often get coupons for free gifts with your next order. Something they throw in free gifts like koozies or tank tops. Overall, Chubbies’ blends real time marketing with a bold and in-your-face brand personality across multiple touch points. They’re a shining example of ecommerce marketing done right. Finally, and importantly, their physical locations provide awesome service. I’ve got a personal representative who I can get ahold of any time to answer questions or help me with any frustrations. Every touchpoint is integrative and feeds into the overall customer experience. Even if you have a multi-channel experience, you might not have an omni-channel customer experience. Just because you’re on Twitter, have a call center and a great website, doesn’t mean they’re tied together. That’s where the magic is: the synergy. Each of your ecommerce marketing channels should complement the next, creating a holistic experience. There’s no one way to do this. Your customers may expect different things than the next company. For example, Chubbies’ experience is much different than Chase’s, but they both offer a delightful omni-channel experience. 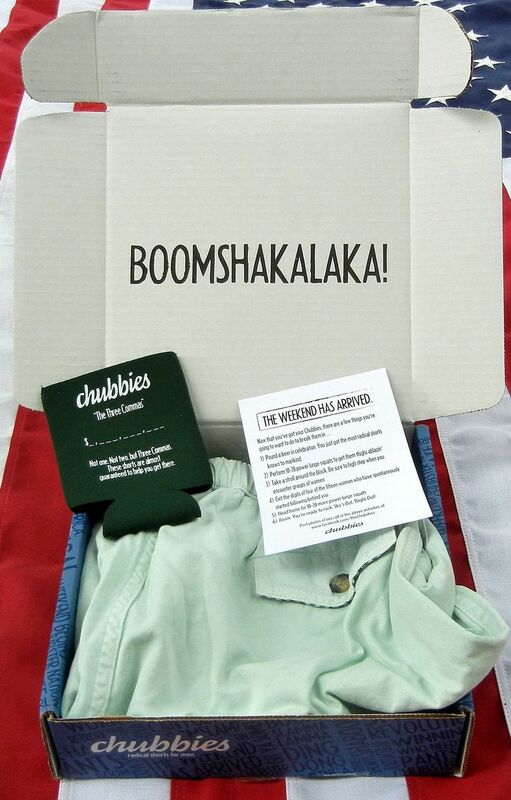 Chubbies’ does so with consistent branding, real time support, exclusive push notification discounts, and referral/retention targeted packaging. Chase makes it easy to deposit checks, track spending, and send money - whether you’re doing so from their mobile site, app, website, or even in the archaic physical locations (still highly helpful). Meet your customers where they want to be met, and you’ll see conversion grow and brand loyalty stay.